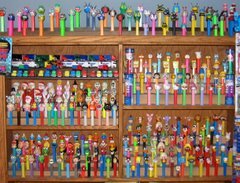 Keep a look-out for the 2011 EASTER BUNNY PEZ. Appears to be the same Chocolate Bunny with whiskers as 2010, but with a green stem for 2011. They are truly expanding their horizons by just adding new stems!! !